I received a copy of this book to review, but these words and opinions are 100% my own. This post contains affiliate links for easy shopping. When I first came across this novel, I thought the cover was intriguing and it looked like a perfect book choice for my women's studies course that I started this past school year. I could also see this as a unique text in a high school or college Holocaust Unit. It was one book that I couldn't put down, and I am sure you will find it that way too. I had a chance to ask Christopher about his favorite writers/stories and his writing process. I am so glad he was able to share with us. Why? Well, they just seem (at their best) to catch something in their particular and different ways that shines more brightly, for me at any rate, than some others. I haven't included recent or contemporary authors in that list, not because I don't think that highly of them, but because I'm not really sure yet how (for me) they will stand the test of time. ​Favorite character? ​It's hard to pick between Sara and the narrator. Sara is full of depth and sorrow, who perhaps feels most deeply all that is going on. But the narrator is a wonderful mixture of innocence and sharp irony. Walk around the block. Or just do and think of something else. Or put the problem in your mind last thing at night and see if you have a eureka moment on waking. Listen to your teachers - and then forget them. Don't give up - unless it's money or fame you're after, in which case don't even start. I usually leave a draft for at least several weeks, sometimes months. Then, when I look at it again, I see a lot that needs improvement. This process goes on for several drafts. Eventually I'm ready for outside comments from friends I trust or editors. That's harder - I usually resist their suggestions if they go against my conception of the book. Then, sometimes grudgingly, I admit they may be right and follow their suggestions. The process of revising goes on and on, sometimes until the editor says it's going to the printer. In that sense, a book is never finished, it just gets taken out of your hands. Ann Tyler said once how much she would have liked to change one of her published works when she read it several years later.That's because not only does the book change over time, but you do too. ​Tha​t depends on the book. 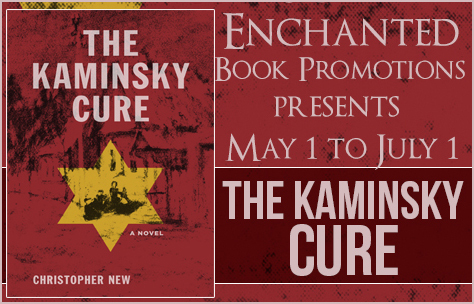 For this book (The Kaminsky Cure) I was a plotter - I knew roughly what each scene would be like before I wrote it. With other books I sometimes find my way as I go along, although I nearly always know what my destination is. ​I don't have one. I don't set myself to write a certain amount each day. Sometimes I write two or three paragraphs, sometimes​ half a dozen pages. It just depends how difficult it is, how complex, or maybe how stale I am on one day or another. Usually the one I'm working on!​ Seriously, I'd find it hard to answer that question because I don't think like that, I don't ask myself, If you press me for an answer, I'd fall back on something like Madame Bovary or Anna Karenina, I think because those are stories I read at a certain age - the age when you are most impressionable, and the impression lasts.